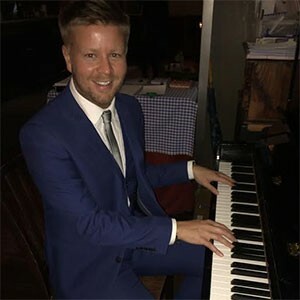 Alex Graham is a professional wedding pianist from Glasgow, available to play for any combination of ceremony, drinks reception & evening meal. Alex is also available for corporate events, special occasions and bars . Alex plays an extensive variety of songs from the very latest chart hits to old classics. Alex is self taught and plays completely by ear so any song requests are always most welcome. 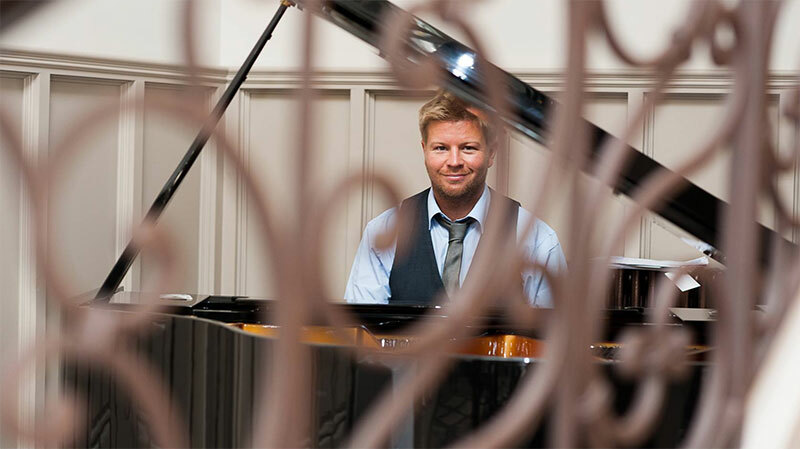 Having performed regularly at many wedding venues throughout central Scotland, Alex is available to play during the ceremony, champagne reception and the evening meal. Alex can also provide his own digital piano & equipment to the venue at no extra cost. Additionally, Alex performs regularly at Mar Hall Hotel, The Grosvenor Cafe, The Balmoral Hotel, The Alea Casino and Nardini’s, and has featured on BBC Radio Scotland. On this site you will find sample set lists and can listen to Alex playing some popular songs on the piano, using the MP3 player on the right.